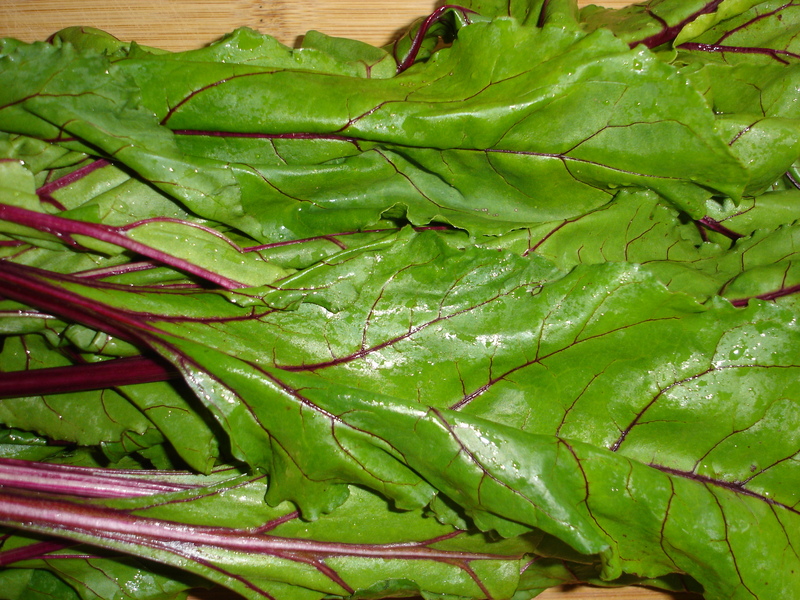 Beet Week concludes with a recipe that uses these greens. I saved mine when I made the warm beet salad a few days back. They keep really well in the refrigerator. Just wash them, chop them, and toss them in a pan on medium heat where some olive oil, two cloves of minced garlic (three if you want to be left alone), and a pinch or two of red pepper flakes have been sauteing for about 30 seconds. The beet greens will sizzle when they hit the hot pan. They’ll wilt, but they don’t release water the way spinach does. 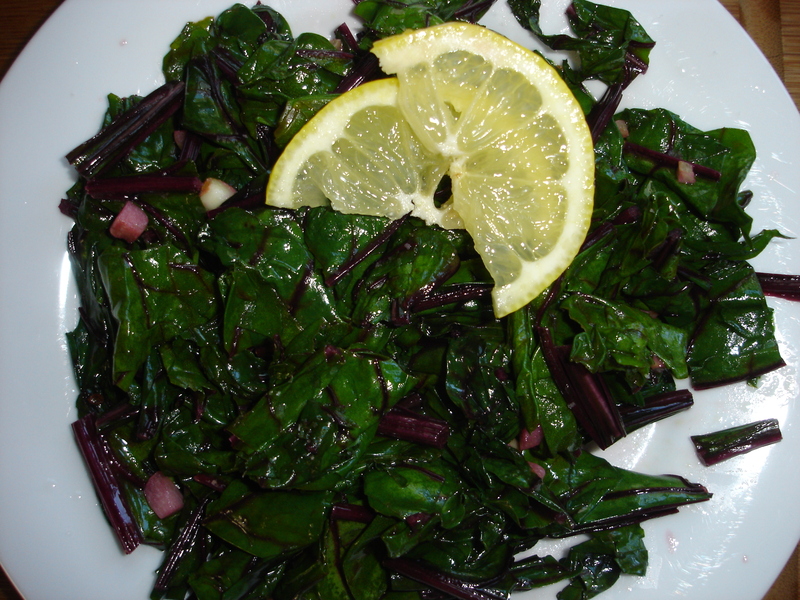 They also have a milder flavor than spinach, so try these with someone who swears they won’t eat cooked spinach. 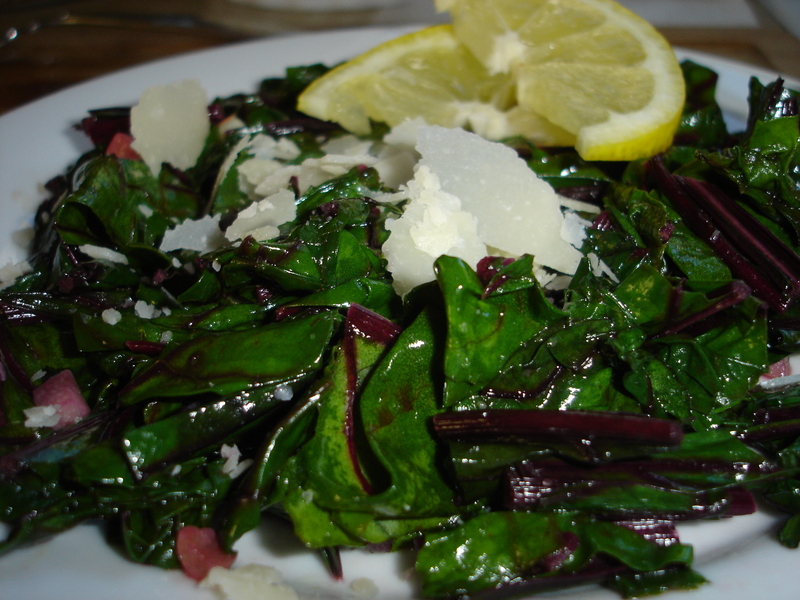 Sauteed beet greens have a nice texture and flavor. They’ll be done after a couple of minutes. Season with kosher salt to taste. 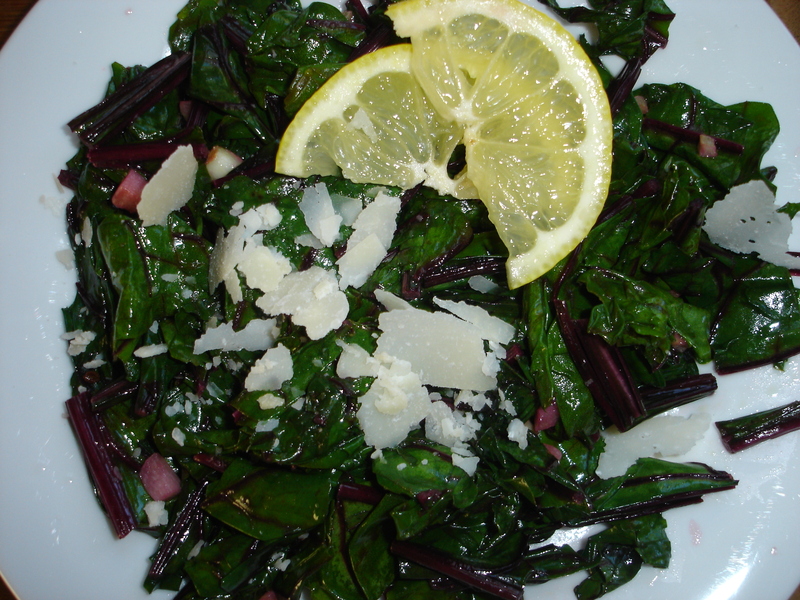 If you’ve left some of the stalks on the greens, you’ll get that lovely red-purple beet color on your plate. Garnish with a slice or two of lemon. Shaved Parmigiano Reggiano also makes a nice garnish. Because in the end, it’s all about the cheese. 1. Heat a large pan over medium heat. 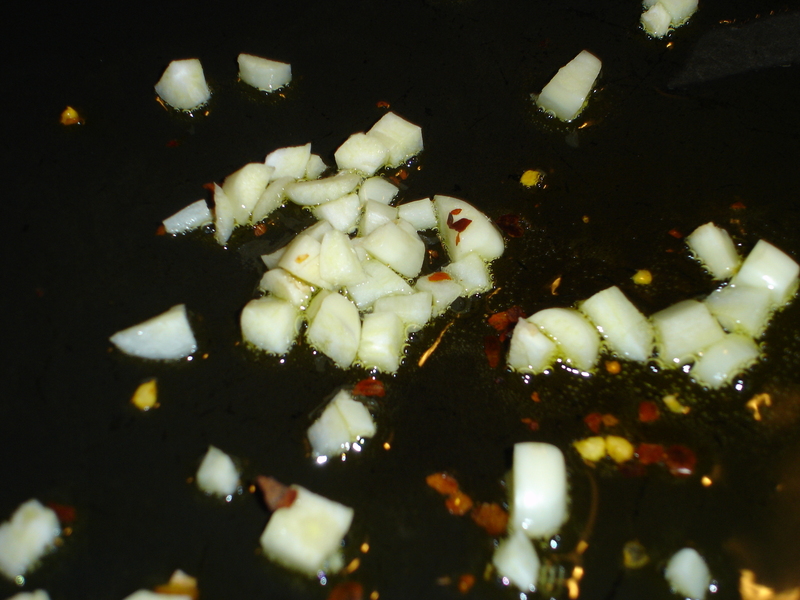 Warm the olive oil, then add the garlic and red pepper flakes. Saute for about 30 seconds, stirring frequently. 2. Add the washed, chopped beet greens. Saute, stirring frequently, for 2-3 minutes. 3. Add kosher salt to taste. 4. Transfer to plates. Garnish with lemon and Parmigiano-Reggiano.